If you’ve never ventured the apocalyptic streets this is the set to grab before it’s gone! It includes all you need to play the original Project Z then adds a whole new focus for dealing out Zombie mayhem, with an incredible terrain set from Sarissa Precision, over 65 models, plus new missions and scenarios dedicated to the elite Spec Ops themselves – including their new Humvee! 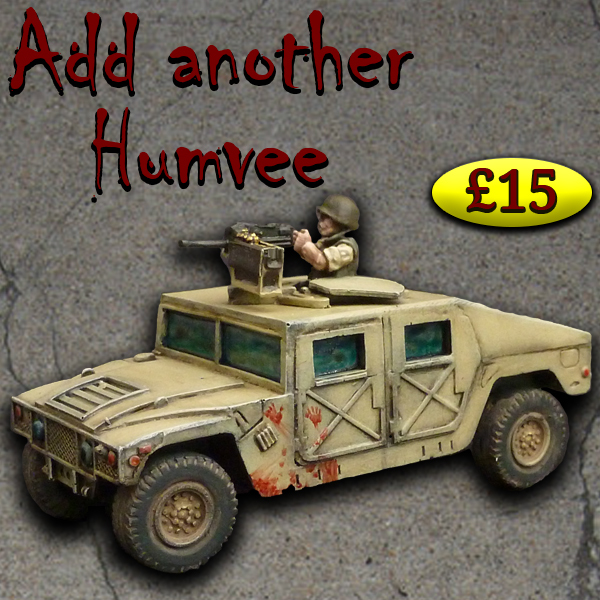 Want a Second Humvee? Just choose the option on the drop down menu when you order the Lock n load special offer!